I often get questions from friends or readers who are looking for a doula, and unsure of how to go about finding and choosing one. So here are a few things to consider. 1) What kind of support are you looking for? You may not know exactly, but it is important to envision your ideal pregnancy and birth experience, and think about what role you see a doula playing. While there are certain things that doulas cannot do (anything medically-related to the pregnancy, for example) there is a lot of flexibility when it comes to the doula’s role, and what you might want to look for when it comes to choosing the doula. For example, if you’re really interested in massage as a technique for relieving contractions, you’d want to look for a doula who has experience with those techniques. Or maybe you have a really engaged partner, and you want a doula who is experienced at working with partners to help them be involved in the birth process. Do your best to envision what kind of support you might want, and then ask questions of the doulas you meet that are specific to those things. You’ll likely change your mind along the course of the pregnancy, or during the birth itself, but it’s a good starting point and helps evaluate the skills of the doula you choose. 2) I think the most important thing, above all the details about a particular doula, is chemistry. Do you feel comfortable with this person? Do you feel at ease? Do you have any connection with them, do you get along? Do you feel comfortable communicating openly and honestly with them? These characteristics are less tangible than other factors you might consider, but I think it’s the most important, and why I recommend meeting potential doulas in person (you might consider a phone call first with a few potential doulas, and then meeting in person with the top one or two). Some doula collaboratives have regular meet and greets where you can talk to a number of potential doulas at once–another good option that is also less time-consuming than one on one outreach. 3) Ask for referrals from friends. There are lots of places to find potential doulas, but I think referrals are the best place to start. If you know people who’ve worked with doulas before, ask them for recommendations. It’s likely you may even have doulas in your social or professional network. I wouldn’t pick someone solely because of another’s positive recommendation because what one person needs in terms of birth support is really different than another, but it’s a great place to start, and then you can explore more in depth with others. 4) Check out local birth and baby expos or fairs. Another place you can meet a number of potential doulas at once, which can be a great way to explore options. Bonus: you might meet prenatal massage therapists or birth photographers as well! 5) What’s your budget? The vast majority of doulas are paid for by the clients, out of pocket. A few insurance companies are starting to reimburse, but it’s rare. The doula you work with may be able to give you more information about potential insurance reimbursement, but it’s a good idea to be prepared to pay out of pocket. What can you afford? Doula services range widely in terms of cost–anywhere from free or barter if a doula is in training, or has a sliding scale for low-income clients–to up to $3000 for a really experienced doula in an expensive metropolitan area like NYC. The fees also depend on what services the doula offers. Consider your budget and what you’re able to afford when exploring potential doulas. 6) How important is it to you to have a doula whose identity or experiences mirror your own? While diversity in the doula community is still a struggle, there’s a growing number of doulas from diverse backgrounds. Does it feel really important to work with a queer doula, a doula whose race or ethnic background matches yours, a doula of color, a doula who is an immigrant, who speaks a language other than English? There are two things to consider here: whether it’s important that they come from the same community as you, or that they simply have experience working with people from that community. You may find that having a straight doula is fine even if you are queer, as long as they have experience working with other queer clients. 7) Do you have any specific pregnancy or birth experiences you want the doula to have experience or expertise in? For example, if you’re pregnant with multiples, it might be important to find a doula who has worked with other clients with twins before. Or if you’re having a second birth, and your first was a c-section, maybe you want a doula who has worked with a VBAC client before (vaginal birth after cesarean). If you’re considering an epidural, you may want a doula who has worked with epidurals before. Or if you’re giving birth at a birth center, or at home, you may want to ask potential doulas if they have worked with people in those settings. 8) Is political alignment important? 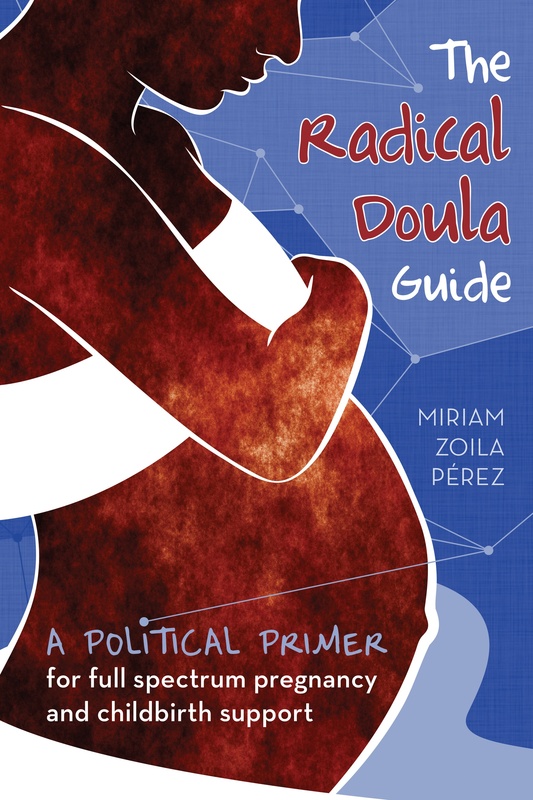 Do you want a doula whose political perspectives or values match your own? If you’re a solidly pro-choice atheist, for example, would you be okay working with a doula who was very religious and pro-life? Many doulas wouldn’t let their personal beliefs interfere with their doula work, but it’s worth considering how you feel, and assessing this when you meet with potential doulas. 9) Ask for references. Just like when considering hiring anyone, you might want to ask for references of other people who’ve worked with that doula. It can give you a sense of what they are like in practice, and give you an opportunity to ask questions of someone who worked with them. 10) A few other places to look for doulas: I have many radical doula profiles you can browse here (with the caveat that these are not endorsements, simply a series for anyone who self-identifies as a radical doula), and you can also look at any number of doula training organizations for doula listings in your area (DONA for example has a directory of doulas by location). You can also use google to browse doulas with their own websites, or find doula collaboratives. Also consider asking your provider (OB, midwife, primary care provider, massage therapist, etc) for recommendations. Other doulas or people who’ve worked with doulas, are there things you would add to this list? Add them in the comments.